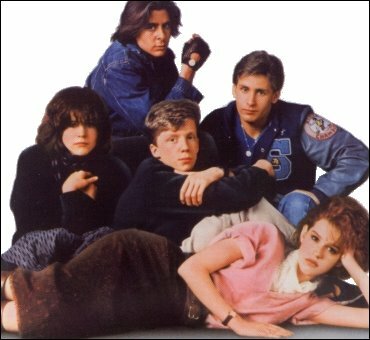 So it was a nice 80s movie weekend at our house - can you believe my husband has never watched The Breakfast Club? I think he fell asleep though, after he laughed all the way through Emilio Estevez's cool dance when they were getting high. Still a classic for me :) We (I) went on to watch Say Anything and Catholic Boys - though according to IMDb.com it's called Heaven Help Us. I had such huge crushes on Andrew McCarthy and John Cusack!